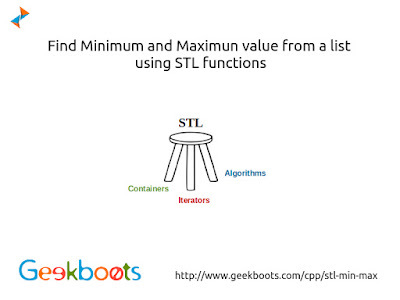 STL contain few functions that help to find largest and smallest value from a list of data. To find largest and smallest value between two data max() and min() functions are use. In case of a list of data max_element() and min_element() are use.